Over the past week I have added links to all of the English translations of Internationale Situationniste articles available online (both my own and those on other sites). I have attempted to be comprehensive – but please let me know if anything has been missed, or if any links aren’t working. The journals are all listed on the menu bar above, just click on the issue number to view the entry. Each entry consists of a scan of the journal cover, a link to a scan of the original (in French – hosted by Ubuweb), and a list of articles including links to available translations (where possible noting the translator’s name). I am currently working on translations of some of the smaller articles from IS#12, and hope to add them to this blog by the end of January. I recently found something I put together a few years ago, then promptly forgot about. 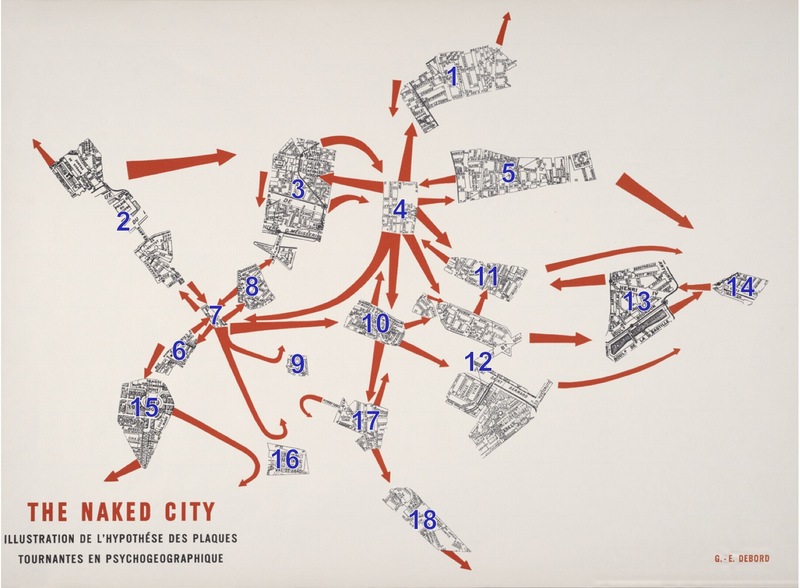 It is Guy Debord’s “Naked City” mapped onto Google’s map of Paris. 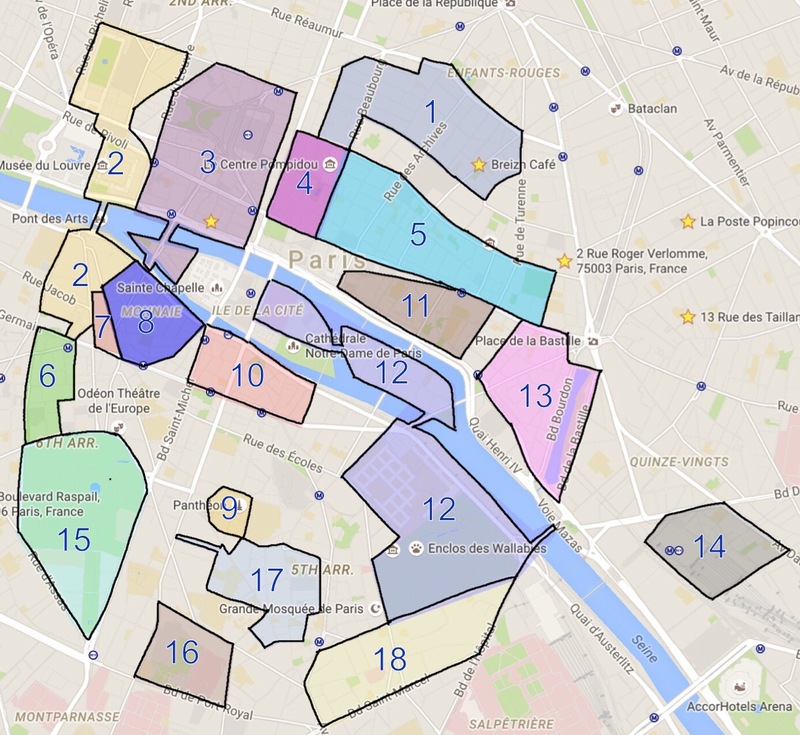 Over the past 12 months my French translating has been directed towards a different project, which will hopefully lead to a published book (on a somewhat related subject). This’ll continue to be the case for at least the next 6 months. As you can imagine this goes a long way to explaining the lack of progress on this blog! Given that I’ve less time to devote to this project at the moment I have decided the best use of my time in the near future is to work towards translating the untranslated portions of the IS journals – so that at least the entire content is available in English for the first time. I’m quite confident that this can be completed within the year. After that I’ll go back to working towards facsimile copies of the IS journal in new translations (unless of course, others take up the challenge in the meantime!). It may even be possible that issue #1 will be completed before the end of the year (it was frustratingly close to finished before my energies were redirected).